During 2016, we have been working alongside our AGI USA partners in conducting studies of application of electrical resistivity technology in the metal mining industry. 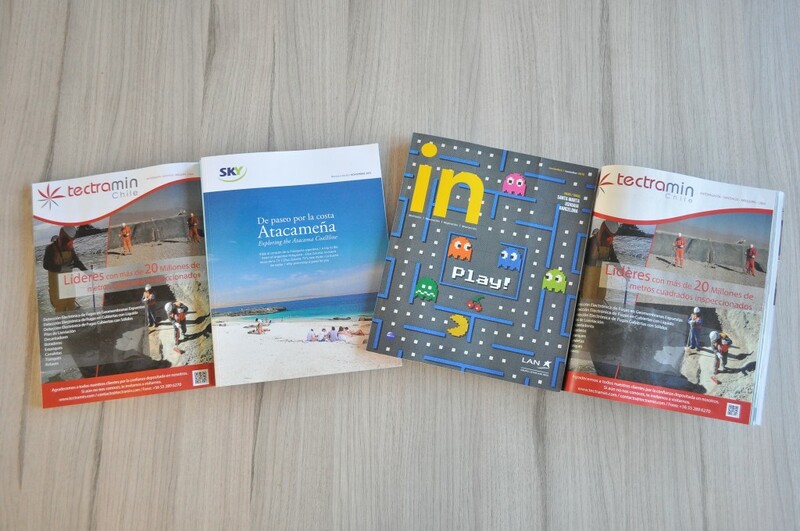 Among them we highlight the publication of 2 Papers or case studies. These studies will contribute to improve the extraction processes of copper or other metal and in turn serve as a study base for future research and implementation of new technologies. We are proud of the achievements we have made and our collaboration in this research with our AGI USA partners. We are pleased to inform our fans and our customers to meet the target of 20 million square meters inspected. This goal we established as market leaders in leaks detection of in Chile and South America, this drives us to continue bringing new technologies to the benefit of our customers’ productivity and respect for the environment. Coincidentally this achievement occurs in our anniversary month, which is why we decided to share this achievement through publication in magazines LAN and SKY Airlines. We thank our customers for your confidence on us. We are proud to present our water truck specially fitted for the transport of inoculum. This service is being provided at the Site Radomiro Tomic, near the city of Calama. 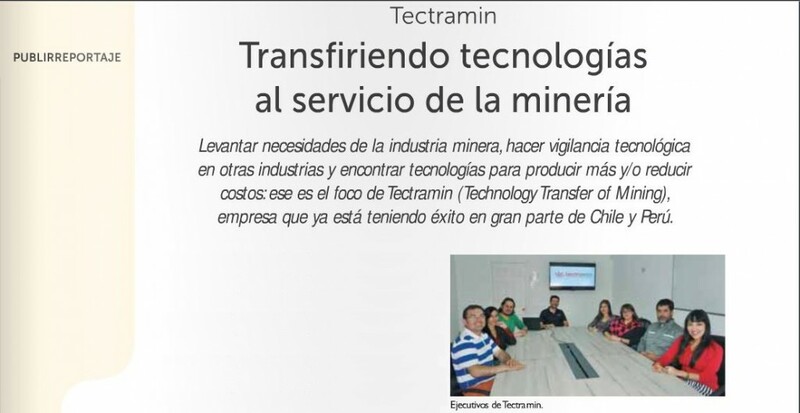 It was in November 2011 when the company was created with the aim to “open the eyes of the mining industry” innovations not only concentrated in a particular industry, but can be transferred between industries challenges, needs and interests common. “We are convinced that mining also has to absorb technology. 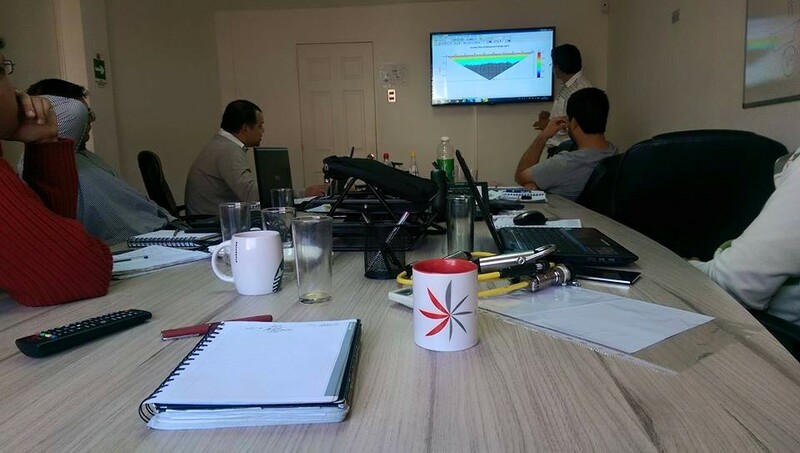 Therefore, we conducted an investigation of how other industries have solved similar problems, mainly in the United States, Australia, South Africa, Asia and Europe; technically and economically evaluate it, adapt it and bring to give solutions to the problems that confront us, “Resume Hrvoj Hrzic Manager for Chile Tectramin. We are proud of our first publication in a journal of the medium. They can review the publication on page 63 in the following Link. During the week of Exponor (One of the largest fairs of mining in Latin America) held in Antofagasta, Chile. We took the opportunity and met with our American partners AGI USA (Advance Geoscience Institute). To exchange work experiences and best practice studies we have done with our customers in Chile and compare them with international experience AGI USA and AGI Europe.